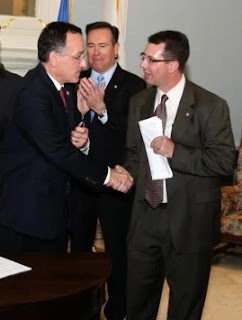 OKLAHOMA CITY (July 29, 2011) – A majority of the members of the Oklahoma House of Representatives have declared their intent to make Oklahoma one of the first states to ratify a federal Balanced Budget Amendment. Last week, 42 Oklahoma legislators signed a letter in support of a proposed federal Balanced Budget Amendment. The letter expresses the legislators’ support of the amendment and declares the legislators’ intent to work for ratification of the proposal in Oklahoma. This week, an additional 22 legislators signed the letter, bringing the total number of signers to 64. On Thursday, the letter containing additional signatures was sent to Oklahoma’s congressional delegation and the congressional sponsors of the amendment. Signers of the letter include much of House leadership, including House Speaker Kris Steele, Speaker Pro Tem Jeff Hickman, Majority Floor Leader Dan Sullivan, Appropriations and Budget Chairman Earl Sears and Majority Caucus Chairman Weldon Watson. House Rules Committee Chairman Gary Banz also signed the letter. Banz’s committee would likely oversee the development and advancement of the ratification resolution. Other signers include state Reps. Don Armes, John Bennett, Gus Blackwell, David Brumbaugh, Dennis Casey, Josh Cockroft, Ann Coody, Marian Cooksey, David Dank, Lee Denney, David Derby, George Faught, Elise Hall, Tommy Hardin, Corey Holland, Randy Grau, Dennis Johnson, Charlie Joyner, Dan Kirby, Sally Kern, Charles Key, Guy Liebmann, James Lockhart, Scott Martin, Steve Martin, Mark McCullough, Randy McDaniel, Lewis Moore, Glen Mulready, Jason Murphey, Jason Nelson, Tom Newell, Jadine Nollan, Leslie Osborn, Pat Ownbey, Ron Peters, Pam Peterson, Phil Richardson, R.C. Pruett, Sean Roberts, Mike Sanders, Colby Schwartz, Seneca Scott, T.W. Shannon, Randy Terrill, Todd Thomsen, Steve Vaughn, Paul Wesselhoft and Harold Wright. The letter was also signed by state Sens. Mark Allen, Josh Brecheen, Bill Brown, Greg Treat, Jim Halligan, David Holt, Clark Jolley, Steve Russell and Gary Stanislawski. Oklahoma City - An Attorney General opinion issued yesterday makes it clear that cities and towns in Oklahoma do not have the legal authority to restrict or prohibit the sale of medicines containing the ingredient pseudoephedrine. The official opinion was issued in response to a question submitted by state Rep. Mike Ritze, R-Broken Arrow. Pseudoephedrine is a key ingredient in the manufacturing of the illegal drug Meth. Legislation is pending in the legislature that seeks to require a prescription for the sale of products containing pseudoephedrine. Recently some communities in eastern Oklahoma have passed ordinances restricting the sale of medicines containing the ingredient to prescription only. The manufacturing and use of Meth in Oklahoma is destroying lives, families and property and is a serious problem for law enforcement. But many are concerned that simply making pseudoephedrine prescription only will do little to address the problem while increasing the cost of health care and inconveniencing people that regularly use these products appropriately. Oklahoma City—At the recent annual conference for the National Lt. Governor’s Association (NLGA), Lt. Governor Todd Lamb was elected to serve as treasurer of the NLGA Executive Committee. “The Lt. Governor was elected to this position bi-partisanly by his peers,” said NLGA Executive Director Julia Hurst. In March of this year, Lt. Governor Lamb was able to secure the 2013 annual NLGA conference in Oklahoma. The NLGA executive committee meets about three times a year and is responsible to chart the course of policy issues and work to be pursued by the nation’s second-highest state and territorial officeholders. In addition to its specific duties, the committee will also address issues of mutual concern to all members. The position is a one-year term with Lt. Governor Lamb serving until July of 2012. NLGA is a bi-partisan organization promoting regional collaborations and problem solving for almost 50-years. See www.nlga.us. Oklahoma City—On any given day, the Oklahoma Department of Human Services receives hundreds of calls in offices around the state regarding services offered by the agency. The answers to these commonly asked questions would be of interest to your readers, viewers, or listeners. For this reason, the agency has prepared the attached “Ask OKDHS: Questions and Answers.” The links below will take you to information about specific services. These may be used as an “Ask OKDHS” series in a newspaper column or broadcast segment. Please consider using this material as you see the need. We can also offer personal commentary if you would like a local OKDHS staff member to be involved with your column or segment. This Friday (July 29), the Oklahoma Council of Public Affairs (OCPA) will host a symposium on digital education, intended to “explore how technology is shaping modern education.” The program is being held at the Oklahoma History Center, immediately northeast of the state Capitol complex. Scheduled speakers include J. Rufus Fears, Ph.D, professor of classics at the University of Oklahoma, who will deliver the keynote address at the luncheon (Noon-1:15 p.m.). Dr. Fears is one of the Sooner State’s most acclaimed scholars and teachers, and is the Dr. David and Ann Brown Distinguished Fellow for Freedom Enhancement at OCPA, Oklahoma’s leading free market “think tank.” The luncheon is sponsored by the Foundation for Educational Choice, a leading exponent of parental choice. The foundation was started by the late Milton Friedman, a leading economist and author. Two of the America’s best known advocates of education choice and other policy reforms will speak at the event. Andrew Coulson, director of the Center for Educational Freedom at the Cato Institute in Washington, D.C., has scheduled an address on “How Policy Can Foster and Protect the Digital Education Marketplace,” from 11:15-11:50 a.m. Dan Lips, senior fellow in education policy for Arizona’s Goldwater Institute, will consider, “K-12 Online Learning: Policy Reforms to Improve Learning Options in Oklahoma.” His comments are slated from 1:15-1:50 p.m.
Major General Lee Baxter (ret. ), an OCPA trustee and a member of both the state Board of Education and the CareerTech board, will welcome attendees at 10:30 a.m.
Michael Horn, executive director of education at the Innosight Institute and author of “Disrupting Class: How Disruptive Innovation Will Change the Way the World Learns” is the mid-morning (10:40-11:15 a.m. speaker. Representatives from several virtual schools and other providers of online education are slated to join the symposium discussions. A “Digital Learning Demonstration” is on tap for 2 p.m. Then, a panel of vendors, teachers, parents and students will close the day. The Oklahoma History Center is located at 800 Nazih Zuhdi Drive in Oklahoma City, just east of the state Capitol building off 23rd Street. Registration for the event begins at 10 a.m. and the program is scheduled to last until 4 p.m. The event is free and open to the public, but registration is required. Lunch will be provided. For more information or to register for the event, contact Jennie Kleese at jennie@ocpathink.org or telephone 405-602-1667. OKLAHOMA CITY – Attorney General Scott Pruitt joined Rep. Randy McDaniel and House Speaker Kris Steele Thursday to announce the next step in the effort to reform and protect the state’s public employee pension system. In response to claims of potential fraud, Attorney General Pruitt opened an investigation Thursday into whether financial institutions properly handled state pension funds. On Thursday, Pruitt sent letters to several custodial banks seeking data on investment transactions, including those involving foreign currency exchanges, on behalf of pensions for state employees, teachers, police officers and firefighters. The investigation and potential litigation is similar to actions taken in California, Virginia and Florida to recoup more than $200 million in state pension funds. “The investigation will reveal whether we need to pursue litigation against fraudulent and deceptive practices,” Pruitt said. Oklahoma’s major pension systems have investment assets of $21.4 billion, according to the state Pension Commission (for more information on pension investment assets, click here). Like private sector pension systems, public sector pension systems nationwide routinely invest in financial markets in an effort to realize investment gains. 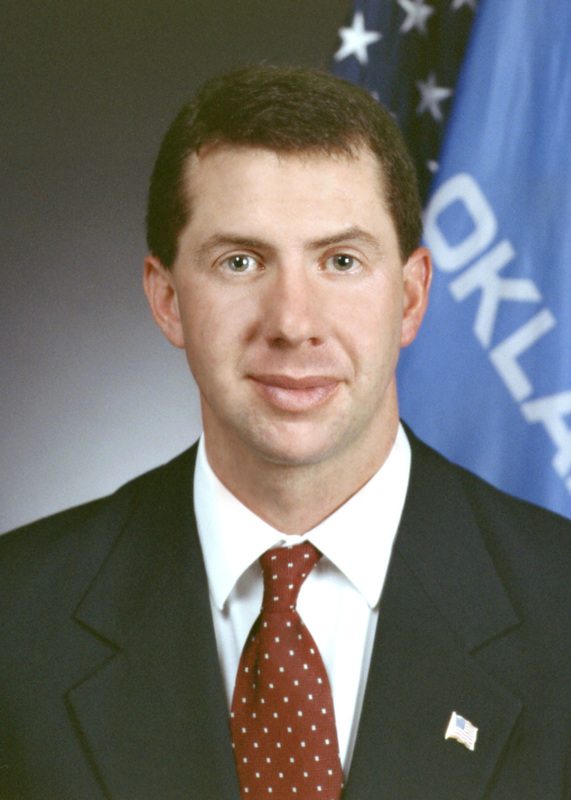 McDaniel, R-Oklahoma City, chairman of the House Oversight Committee on Pensions, will conduct an interim study this year on pension investments. McDaniel’s interim study seeks to determine whether Oklahoma’s pension investments are being handled properly and effectively. McDaniel, a financial adviser, said if any mismanagement of pension funds is found, Oklahoma should not hesitate to try to recoup losses. This past session, Steele, R-Shawnee, and McDaniel authored several pieces of pension reform legislation that reduced Oklahoma’s unfunded pension liabilities by billions of dollars and placed fiscally conservative, common-sense policies on Oklahoma’s public pension systems. OKLAHOMA CITY – As Oklahoma City teachers prepare for the first day of classes after the summer break many stopped by the Teachers Warehouse to pick up the free school supplies that they had ordered. I spent time this afternoon with Oklahoma City Public Schools Supt. Karl Springer helping teachers load donated supplies. 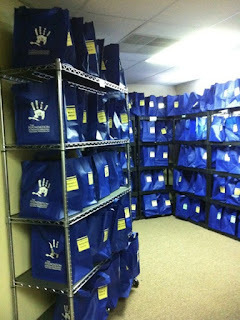 The free supplies were provided by The Foundation for Oklahoma City Public Schools. This private-public partnership to put school supplies in Oklahoma City classrooms is reaching more schools than ever – and the school year hasn’t even begun. Teachers Warehouse, a program of The Foundation for Oklahoma City Public Schools underwritten by Chesapeake Energy Corp., Devon Energy and OG&E, is distributing supplies to elementary school teachers today and Thursday. Middle school and high school teachers will receive their supplies next week. In total, schools will receive nearly $25,000 worth of copy paper, spiral notebooks, highlighters, pencils, crayons and other classroom tools and necessities by the end of next week. The warehouse received orders from 569 teachers at 80 schools – both record numbers for a program that launched only three years ago. Those teachers serve an estimated 12,000 students who stand to benefit from the supplies. The increase in orders reflects The Foundation’s goal to reach more students with free supplies, further bridging the gap between what schools have and what students and teachers need to be successful. Since its inception in 2008, the program has provided more than $600,000 in supplies to teachers. 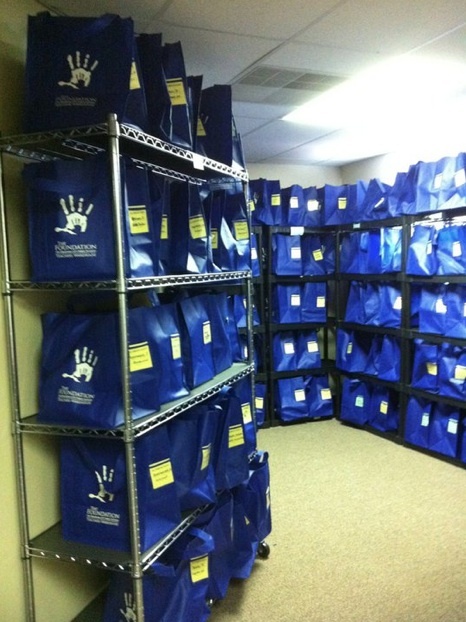 This school year, the Foundation’s goal is to provide free supplies to as many as 800 teachers per month. OKLAHOMA CITY -- The National Child Support Enforcement Association will award Oklahoma Child Support Services (OCSS), a division of the Oklahoma Department of Human Services (OKDHS), with its Outstanding Program of the Year Award for 2011. The national award recognizes a State, Regional, Tribal or County program that has consistently and comprehensively exemplified the best in child support enforcement through an outstanding record of performance and in providing effective services to its constituency and its community. Gov. Mary Fallin signed a proclamation last week making August “Child Support Awareness Month” in Oklahoma. The proclamation is available here. Oklahoma Child Support Services is a division of the Oklahoma Department of Human Services. To promote healthy families, OCSS establishes, monitors and enforces reliable support while encouraging self-sufficiency and strengthening relationships. The division is responsible for more than 201,000 active child support cases, collecting more than $317 million in the last year on behalf of children and families. WHEN: Thursday, July 28 at 2 p.m.
OKLAHOMA CITY – House Speaker Kris Steele today called on the Department of Human Services to release its report on last month’s death of a five-year-old Oklahoma girl, Serenity Deal. Serenity was beaten to death June 4. DHS officials had placed Serenity in her father’s care as part of a trial reunification despite having documented evidence that Serenity had been repeatedly injured while in his care in the past, according to a report by the Oklahoma Commission on Children and Youth. Serenity’s father has been charged with her murder. DHS officials on June 15 told media outlets that the agency’s review of the case would be released the week of June 18. However, the report on the review has yet to be released. Further, the report was not delivered to the agency’s governing board, the Oklahoma Commission for Human Services, at its meeting today. The Oklahoma Commission on Children and Youth, which serves as a watchdog over DHS, completed its report on Serenity’s death within ten days. It has been 52 days since Serenity died and no DHS report has been released. The Oklahoma Commission on Children and Youth report indicates there were major disagreements among DHS officials in Pottawatomie and Lincoln counties about whether Serenity should have been placed in her father’s custody. Oklahoma Department of Human Services (OKDHS) Director Howard Hendrick responded to criticism from House Speaker Kris Steele regarding the time the department is taking to prepare a detailed report on the death of five-year-old Serenity Deal. The Deal case had multiple hearings before the Courts, said Hendrick. The department has requested and has been waiting on court transcripts which would detail the recommendations of the workers, supervisors, child’s attorney, parents’ attorneys, and district attorneys each time the child’s case was heard in court. “This information is critical to the official report and will help detail the events surrounding this little girl’s life and those leading up to her death,” said Hendrick. OKDHS is one part of a larger system that works together to protect children. All investigative reports and recommendations by child welfare workers are given to district attorneys who then take cases before judges. 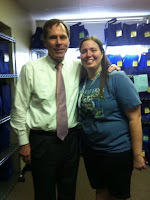 Every child in state custody also has an independent attorney assigned to represent them and their interests in court. While the broad series of events have been reported in the report issued by the Oklahoma Commission on Children and Youth, the context of those events cannot be known until the court transcripts have been produced and analyzed, said Hendrick. OKLAHOMA CITY (Monday, July 18, 2011) – The state’s multicounty grand jury reconvenes today in Oklahoma City. The grand jury will meet from Monday, July 18, through Wednesday, July 20. This month’s session will be held at the Oklahoma Attorney General’s Office, located at 313 NE 21. OKLAHOMA CITY – Governor Mary Fallin today set the date for a special election in Oklahoma House of Representatives District 1. The seat is currently vacant after Representative Rusty Farley passed away suddenly in early July. District 1 covers McCurtain County in Southeast Oklahoma. The filing period for candidates will take place from August 22, 2011 to August 24, 2011. The primary election will be held November 8, 2011 and the general election held on February 14, 2012. In the event that no primary election is required, the general election will instead be held on November 8, 2011. A copy of the executive order setting the election date can be seen here. The legislative authors of bill repealing Oklahoma's “trial de novo” provisions for school teachers say the Oklahoma Education Association’s general counsel is misinforming members of Oklahoma’s largest teachers' union about the new provisions, by asserting its strictures violate the U.S. Constitution’s Fourteenth Amendment right to due process. 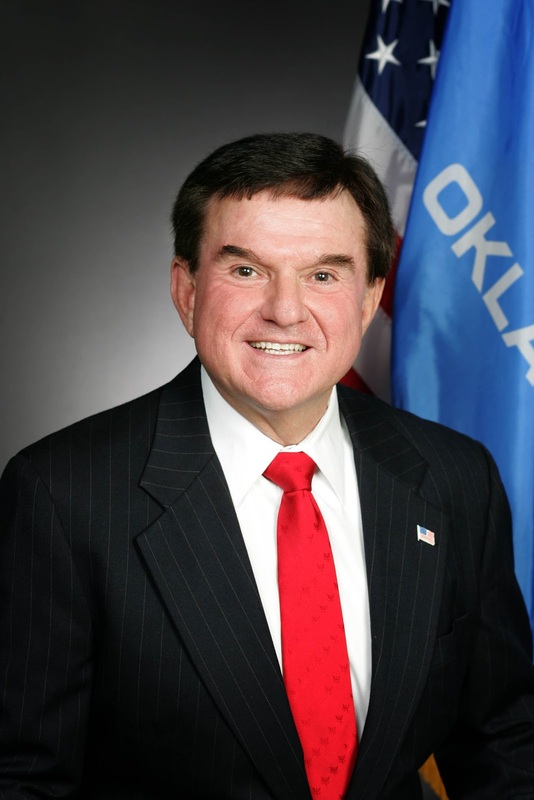 "The Oklahoma Legislature does not have the authority to repeal or otherwise change the due process protections that are set forth in the 14th Amendment of the U.S. Constitution," states OEA general counsel Richard Wilkinson in the June/July "Education Focus," the union's member newspaper. Also, Wilkinson’s column and another anonymously-written item in the publication remind union members of their asserted right to engage school districts in lengthy, expensive litigation. The references are found in the newspaper online at www.okea.org. Wilkinson’s legal assistant said he could not comment for this story because he would be on a lengthy vacation and she did not know when he would return. “What teachers will no longer have after being terminated is a guaranteed new trial which effectively starts the entire process of termination over again,” said state Rep Corey Holland of Marlow. “House Bill 1380 puts the termination decision in the hands of the same folks who do the hiring. This is not an unfair standard in any way. “In fact, it aligns with how every other public employee in our state is treated. Teachers who believe they are unjustly terminated will have the option, if they choose to pursue it, to have their case heard in a court of law just like everyone else. The Constitution of the United States has not been altered just because Oklahoma passed H.B. 1380, and any legitimate lawyer understands this fact." The bill means that tenured teachers will have the same rights in termination cases as probationary teachers, Wilkinson noted in his column. Because a teacher achieves tenure after teaching three years, tenure provisions formerly provided substantial, virtually automatic job security. In his column, Wilkinson cited three to four specific instances in which a public school district may be sued – including instances where the district has failed to prove its case. He stated there are “voluminous” additional reasons to do so. Oklahoma taxpayers ultimately pick up the tab for school districts’ legal costs. Highly-placed education sources contend school district litigation costs have gotten out of hand in school districts for numerous reasons. Wilkinson said in his column that legal action against a district, administrators and school board could go on as long as 18 to 24 months, whereas a court appeal is statutorily limited to 63 days. Teachers performing their jobs properly have nothing to fear, lawmakers insist. “Trial de novo” is an optional provisions and is not in place in every state where teachers' unions are powerful. Recently, Purcell Superintendent Tony Christian told reporters it cost the district $80,000 and several months of wrangling to terminate a former teacher who was eventually convicted of serious wrong-doing. Criminal proceedings against the individual took law enforcement two years to complete. The new “trial de novo” law does not mean fired teachers cannot appeal terminations in a court of law. Terminated educators may use the public court system, but will have to start the process anew without automatic resource to trial court after a dismissal. 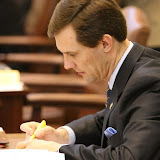 The bill becomes law August 26, 2011. It will govern teacher termination efforts for the 2011-2012 school year and thereafter. Wilkinson's colulmn said OEA had anticipated passage of this legislation. Thus, for several years, the union's delegates have authorized “substantial investments” in a sophisticated arsenal of tools that will virtually transform school board termination hearings into court proceedings. 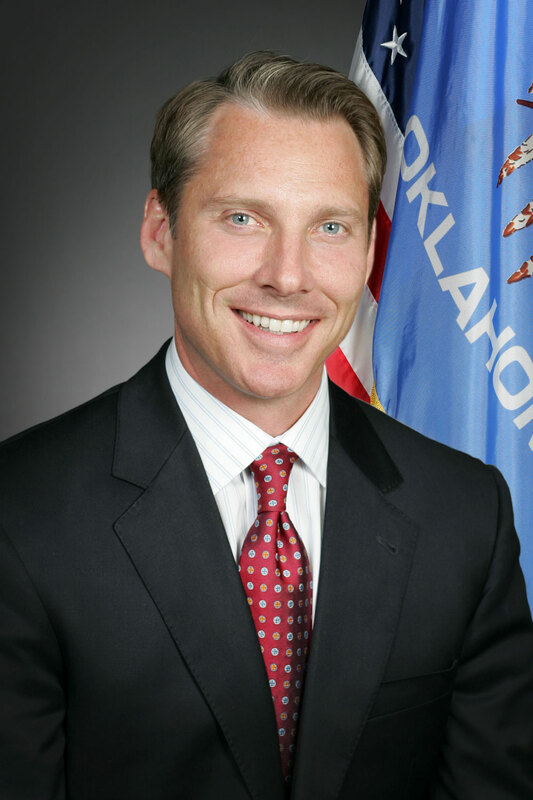 OKLAHOMA CITY – Governor Mary Fallin today signed an amendment to the State of Emergency that was declared last month by Lieutenant Governor Todd Lamb. The amended declaration will now include all 77 Oklahoma Counties in response to the continued severe heat and drought conditions. While some counties are still affected more than others by the heat and drought hitting the state, all counties are currently experiencing drought conditions and forecasts show these conditions will only continue to get worse for all portions of Oklahoma. This Executive Order is a proactive measure to ensure Oklahoma is eligible for any and all federal assistance that may be available. Treasurer's Commentary: It's the spending, stupid! While recent reports show state economic prospects heating up, no recovery is guaranteed. Oklahoma is not immune from macroeconomic conditions or bad decisions made in our nation’s capitol. Unfortunately, the current Washington stalemate threatens our economic recovery just as it’s catching fire. With the federal government borrowing 40-cents of every dollar spent, much focus is on the US debt crisis. In the last 10 years alone, the gross federal debt has ballooned about 150 percent from $5.8 trillion to $14.3 trillion. This is an increase from 56 percent of GDP in 2001 to more than 100 percent today. The cause is simple – it’s the spending, stupid! Advocates of state Health Care Compacts on Thursday (July 14) celebrated passage in Missouri, the third American state to enact the governance reform in recent months. Oklahoma was the second, while Georgia was the first. In an interview with CapitolBeatOK, Eric O’Keefe of the Health Care Compact Alliance said the measure was gratifying to him and other advocates seeking to provide an alternative to the federal health care law passed last year. A recent study reports that cell phone and texting bans have not resulted in fewer accidents in those states that have passed such laws. It recommends that states that have not passed laws restricting cell phone use while driving wait before doing so and that states focus on enforcing existing distracted driving statutes. 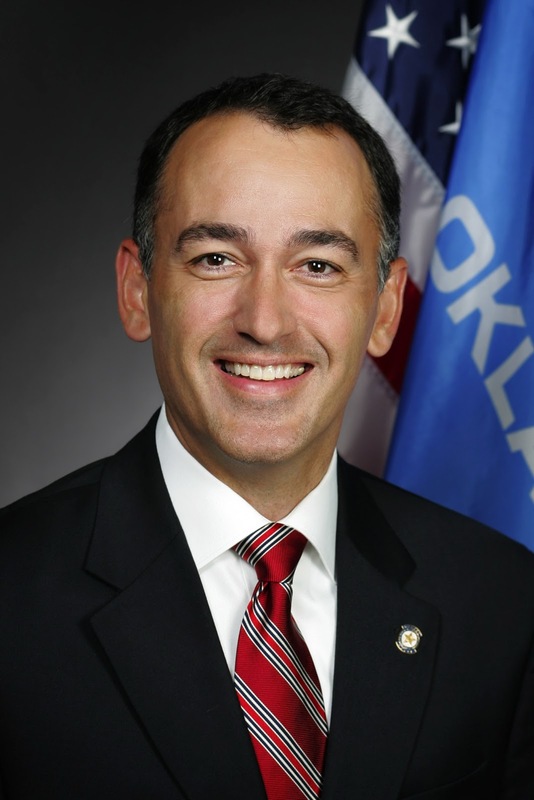 OKLAHOMA CITY – House Speaker Kris Steele today announced the membership of the select House oversight committee on pensions that will conduct all House interim studies on pension matters. The announcement came as Oklahoma’s recently enacted pension reforms received national attention at today’s Southern Legislative Conference’s annual meeting in Memphis, Tenn., where state Rep. Randy McDaniel, R-Oklahoma City, was a featured speaker on the issue. McDaniel will serve as chairman of the House oversight committee on pensions. The committee will hear McDaniel’s four interim studies on pensions, which will study how pension system investments have been handled, ways to continue reducing the unfunded liability and pension funding formulas. “Improving the fiscal stability of our pension system is important because failing to do so would risk sending all of state government into fiscal disarray. 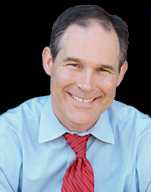 I am pleased the House is continuing to rise to this challenge,” Steele said. McDaniel, who has nearly 20 years of experience in the financial services industry, said additional pension reforms are necessary. McDaniel highlighted Oklahoma’s 2011 pension reform accomplishments at today’s Southern Legislative Conference meeting, which was attended by hundreds of legislators from other states. At the start of the 2011 legislative session, Oklahoma’s seven retirement systems had over a $16 billion unfunded liability compared to a $6 billion unfunded liability just a decade ago. As of last March, Oklahoma’s 57 percent pension funding ratio was the third worst in the nation. However, the reforms enacted by the Oklahoma Legislature this year will produce savings of nearly $7 billion over the next 30 years. The major reforms enacted will require that cost-of-living adjustments (COLAs) be fully funded when authorized and will increase retirement ages to reflect rising longevity. The Oklahoma Developmental Disabilities Council is seeking comments on its draft five year Goals, Objectives, & Strategies State Plan. The goal of the plan is to consider the needs of all Oklahomans with developmental disabilities. You may visit the ODDC state plan page or complete the survey on-line. You may also post comments on the Council’s Facebook page. The deadline for submission of comments is July 22, 2011. The Oklahoma Developmental Disabilities Council (ODDC) is a small, independent state agency that works to improve services and supports for Oklahomans with developmental disabilities.